I love my son so much. Obviously. And I really love the earnest way he expresses bewilderment over some of his contemporaries’ preferences. Although he just turned 9, an age where “toys” sort of lose favor, it’s actually been several years since he’s enjoyed a toy: A fanatical obsession with Thomas the Tank Engine would have been the last one. 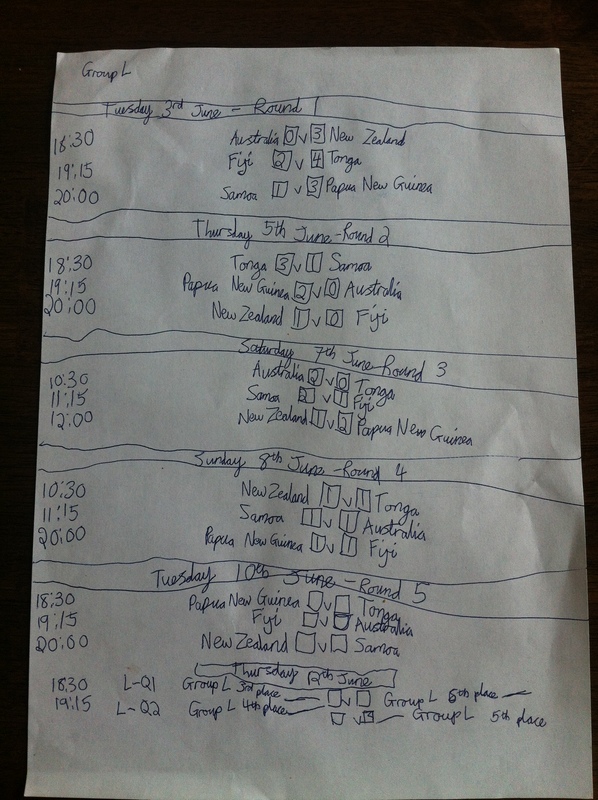 He’d rather be outside with a ball or composing meticulous lists and charts—ranging from alphabetizing his school’s entire student body to transcribing World Cup rankings. 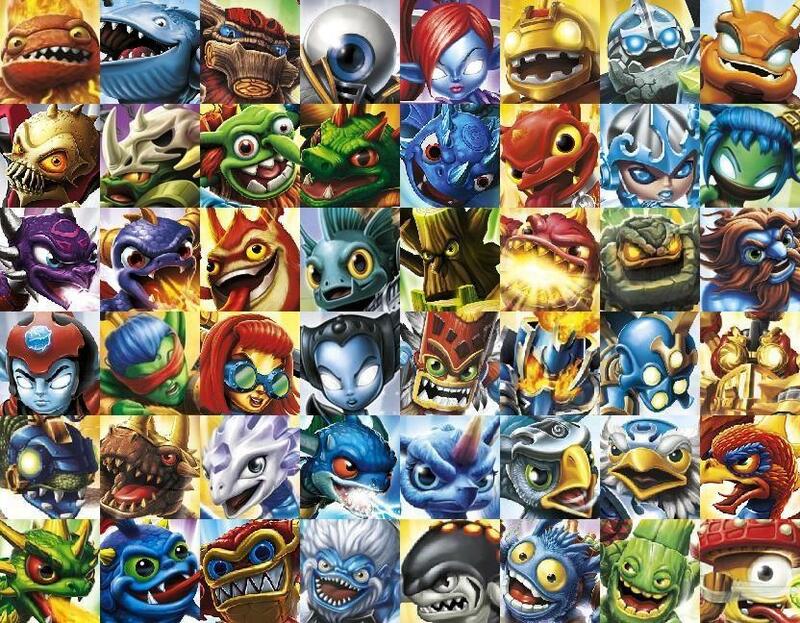 So a year or two ago, when a few of his friends were into Skylanders (I don’t know what they are either. Little figurines, I guess, with elaborate backstories to go with them? ), he just wasn’t sure how to engage with these pals. I picked him up from school one day and he said, “I don’t get it. All they do is…” And then he proceeded to demonstrate with lots of hand motions and puppetry how his friends would manipulate these figurines to battle and do cool stunts. Similarly, he tried the Lego after-school program for a few terms and just couldn’t get into it. (Just goes to show how kids will repeatedly surprise their parents; six years ago, I would have absolutely pinned him as a future “Lego Kid.” Guess not!) Simply put, he likes what he likes—some things you just can’t force. The great thing, though, is that he takes great care in picking out birthday presents suitable for these friends and truly desires to get these guys what they want even when he doesn’t have the foggiest idea what they actually “do” with them. I felt a little like how he must feel as I was reading All My Puny Sorrows by Canadian writer Miriam Toews. Her book was getting a little bit of publicity in The Irish Times and she seemed like a somewhat-under-the-radar writer, comparatively, so I thought I’d give it a shot. Based on the author’s experiences with her sister, who committed suicide in 2010 (in the same fashion as their father, who killed himself in 1998), the novel details the childhood of sisters Elfrieda and Yolandi, who are raised in a rural Mennonite community—just as Toews was. This is heartbreaking and uncomfortable territory; it’s one thing to read about such a devastating subject when the reader can assume that the work is pure fiction, or mostly fiction, but knowing that it is too close to a real-life situation—according to interviews with Toews—feels wrong and voyeuristic. Normally, a reader can put down a distressing book, taking a modicum of comfort in the fact that it’s over. 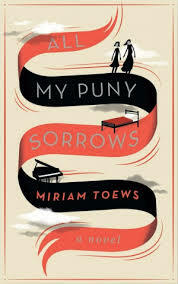 With All My Puny Sorrows, however, an overwhelming sadness and disquiet left me wanting to throw the book away. Was it purely the subject matter of the book, though? Or was there something more? In an attempt to find out if my distaste for and discomfort from the book stemmed from the topic—or merely from Toews’ writing style—I downloaded Toews’ first novel, the acclaimed A Complicated Kindness. In other words, is this just another case of not liking Skylanders and Lego? 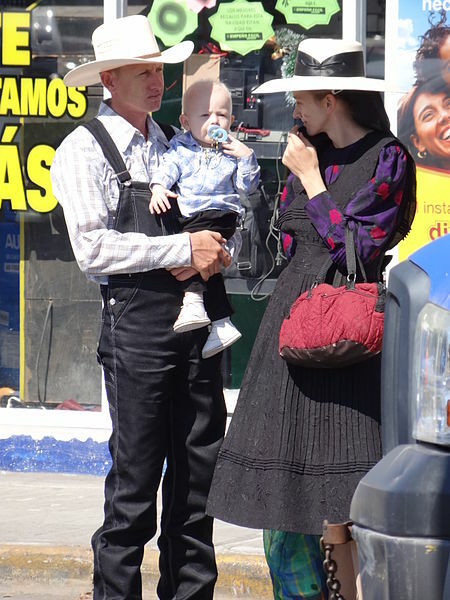 A Mennonite Family in Mexico, © Adam Jones, Ph.D. But despite a slightly less depressing narrative (this novel follows Nomi, a teenager living in—surprise, surprise—a cloistered Mennonite town and her father, Ray, as they grapple with the disappearance of their mother/wife and sister/daughter), I had a hard time getting through the disjointed and depressing montages. Nothing sinister about the women’s separate departures is implied, for one assumes that these women with their subtly rebellious ways have merely jumped ship. Toews spends a lot of time carefully delineating the ways that oppression has shaped the members of this (ficticious?) family. After completing both books, I figured out what it was that I didn’t like. Both works are obviously ripe for a lot of introspection, which Toews accomplishes in her own way. And I guess it’s just “her own way” that doesn’t suit me. The difference between the film and Toews’ work, however, is that I’m not sure there was too much of a point to Napoleon Dynamite beyond the humor. (Admit it, Tina is a great name for a llama that is fed leftover casseroles.) Toews is trying to accomplish so much more, but I couldn’t get beyond the attempt at humor and the reliance on snarky conflict between small-minded people and their more worldly counterparts to shade the sorrow. Simply put, I wanted to hear her thoughts about these complex topics, but her style just didn’t reach me successfully. I feel slightly ashamed to write the above because Toews’ childhood has clearly provided her with rich, confusing, and painful material through which she writes passionately. A criticism of her works feels like a criticism of her entire life. Yet I may be in the minority, for Toews is an accomplished writer and has already authored seven books. She has been awarded the Governor General’s Award for Fiction for A Complicated Kindness. In 2013, she was awarded the Order of Manitoba, and in 2009, The Flying Troutmans was longlisted for the Orange Prize. A quick glance at Toews’ Wikipedia page shows quite a lengthy “Awards and Honours” section. There’s no denying that there is a lot of deep thought behind those words. Skylanders versus a good soccer tackle. You know, po-tay-to/po-tah-to. It’s not you, it’s me. Any mother or father knows that one of the most rewarding parts of parenthood is seeing how these young beings can actually teach adults a thing or two. So no, I will probably not pick up another book by Miriam Toews. But for those of you who will? I don’t really get it, but in an attempt to mirror my son, I’ll say: Dig in. I’m about to sound either really clueless or really curious. Here’s a sampling of some of the questions I asked myself as I read The Garden of Evening Mists by Tan Twan Eng. Why is everyone referring to Malaya, and not Malaysia? Pearl Harbor was not Japan’s “official entrance” into World War II? 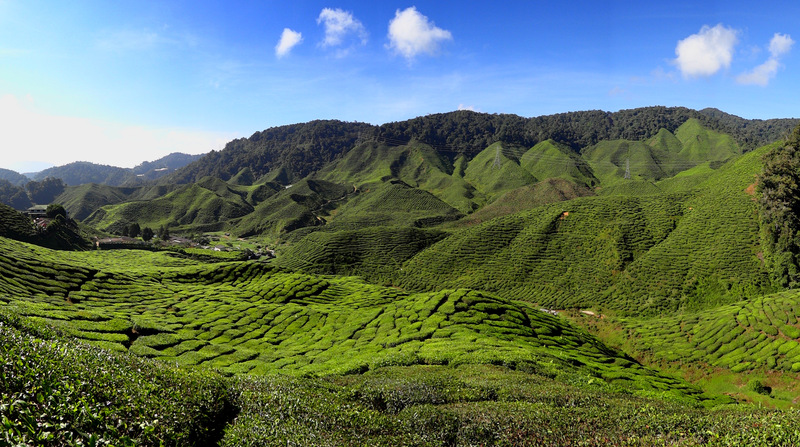 Why is there a South African living in Cameron Highlands? And the Boer War: What was that again? Perhaps I should be a little embarrassed to admit my ignorance about the Eastern World despite, I think, being reasonably informed about general global history and geography. 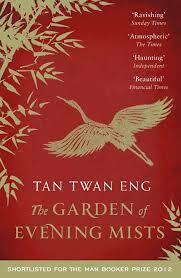 But my reading of Tan’s lushly and quietly beautiful novel about the Japanese Occupation and its lasting effects on protagonist Yun Ling took me constantly to Google; the result of my reading was not just another wonderful story embedded in my heart, but also a small step forward in understanding a greater world. The Garden of Evening Mists presents one picture of what happened in British Malaya from World War II, to the early 1950s, to the late 1980s, which is when the story commences. Readers get little peeks into a world of Aboriginal tribes, the Japanese civilian internment camps where Yun Ling spent three years and where her sister died, and the CTs (Communist Terrorists) who ambush the areas around Majuba, the tea plantation where Yun Ling apprentices with Aritomo, the former gardener for Emperor Hirohito. Got it? Despite the fact that some reviewers believed that Tan’s debut novel, the Man Booker-long listed The Gift of Rain, was preferable to this 2012 novel, I was more than satisfied reading this one. From a historical perspective, I wish I could have read something like this in high school. And I say this because I was lucky enough to learn from an outstanding English department where the breadth of literature that was presented to me was apparently—judging from conversations with my peers—not commonplace. 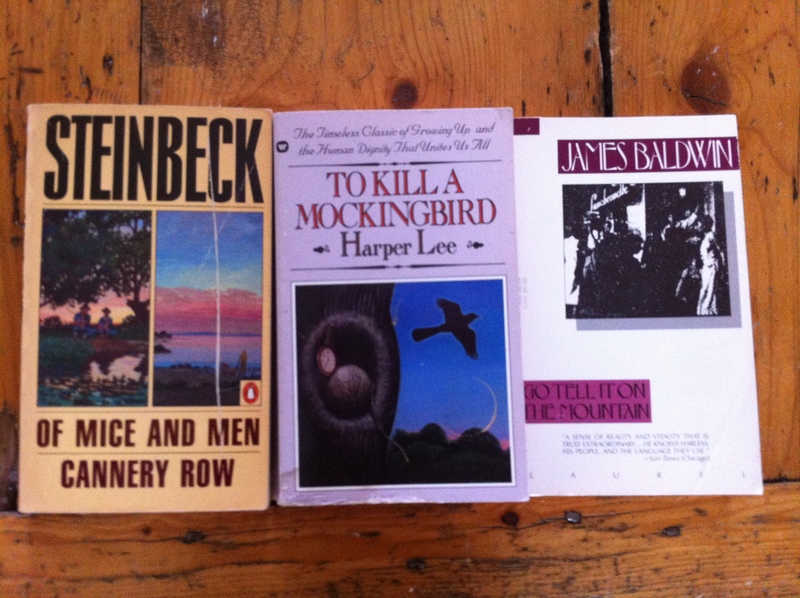 About a month ago, the British educational system made big news because Minister of Education Michael Gove proposed dropping American classics such as To Kill a Mockingbird and Of Mice and Men from its English literature GCSEs. The majority of the new syllabus will be comprised of works from the British canon, mostly pre-20th century. I have to admit that I feel a bit disconnected from the outrage, for besides the obvious reason that neither I nor my children have anything invested in the GCSEs, “good” fiction still makes the list. On the one hand, I think it’s a pity that British youth won’t have the option to read these books as part of a curriculum, but on the other hand, it’s not as if Lee and Steinbeck are banned from the country. I know that part of the outrage stems from a general disdain for the conservative Gove himself. However, a quick look at reading lists for American high school students demonstrates that national-centric literature is the norm in a nation, such as Great Britain, that produces a lot of fiction. Kids, what did you learn today? I’ve read the aforementioned books more than once; I understand why they are on reading lists. What seems to get lost in the melee of this particular debate, however, is the fact that Anita and Me, Meera Syal’s 1996 semi-autobiographical novel about a British Punjabi girl in the Midlands, and DNA, Dennis Kelly’s 2007 play about bullying, are rumored to have made the list. With the influx of immigrants to Great Britain—and the controversy that migration brings—as well as the nation’s lack of immunity from issues that affect teenagers all over, these contemporary works strike me as nothing but appropriate. First look in, then look out. Students have to have a solid sense of their homeland’s general place in the world—how others perceive it, its history, how it has worked or not worked with others—before starting to understand other lands and the people who call them home. So, is America successfully giving its students an opportunity to “look in”? According to a recent story in The New York Times, American educators have started to examine why James Baldwin, author of the classic 1953 novel Go Tell It on the Mountain, has “faded from the classroom.” To be fair, American students reading Baldwin is not akin to American students reading international literature. I’d suggest, though, that for a portion of these students, reading about early-20th-century Harlem will feel as foreign as reading Sanskrit. The article argues that Baldwin, who died in 1987, has had to “share space” (as if it should work that way) with other African-American writers, such as Toni Morrison and the late Maya Angelou. In other words, educators are examining how best to “look in” to one aspect of American culture. The article notes that in some circles, a fear of Baldwin’s language, sexuality, and opinion about racism in America may be driving the “fade.” If so, I would argue all the more reason to keep his works alive and taught: The “safe” way to learn about a particular group of people isn’t always the best. And then there’s the Common Core, the US Department of Education’s controversial attempt to standardize educational benchmarks throughout all 50 states. Again, at this point in time, I have no horse in this race, so I don’t have much of an opinion. However, as I was helping a friend compile a “recommended reading list,” I started researching what American high school students were reading. I was surprised—and disheartened—to read that by 12th grade, “informational text” will comprise the bulk of students’ reading. 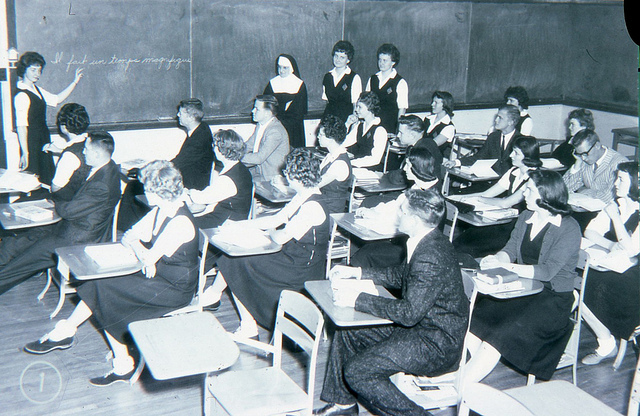 Although, in theory, this principle is supposed to span several classroom subjects (reading the Rev. Martin Luther King Jr.’s “Letter From a Birmingham Jail” in Social Studies, for instance), according to a Washington Post article, the “burden” of teaching these non-fiction texts is falling to English teachers at the expense of literature. Apparently, this is not Common Core’s intent, but a misinterpretation by administrations implementing the changes. Regardless, it’s still reported as happening in this fashion. Figuring out texts to mandate to upper-level students is causing consternation on both sides of the Atlantic. Should students—and the greater population—be encouraged to read only what they know? Or should the “foreign” (however one chooses to define that word) be an active part of learning? And most importantly, how does an educational system pick these works of fiction? Why does one even read fiction? That’s a question that will produce as many answers as respondents. Massachusetts English teacher J.D. Wilson, quoted in the Washington Post article, said this: “Reading for information makes you knowledgeable — you learn stuff. But reading literature makes you wise.” Like others, I read fiction for many reasons. (Although I never read it in order to be whisked away to vampire territory.) Not that anyone is ever done learning, but I feel fairly confident in my knowledge of literature that allows me to “look in.” So where to next? I closed The Garden of Evening Mists knowing a bit about Japanese gardening, the topography of the Malayan peninsula, the art of tattoo, relations between different groups including Chinese peasantry and Europeans in Asia, and a few more details about and perspectives on World War II. Bonus: Tan’s novel not only had me relishing his language and the precise ways he described the settings, but it pushed me toward a little independent historical research. That’s a pretty good educational tool. 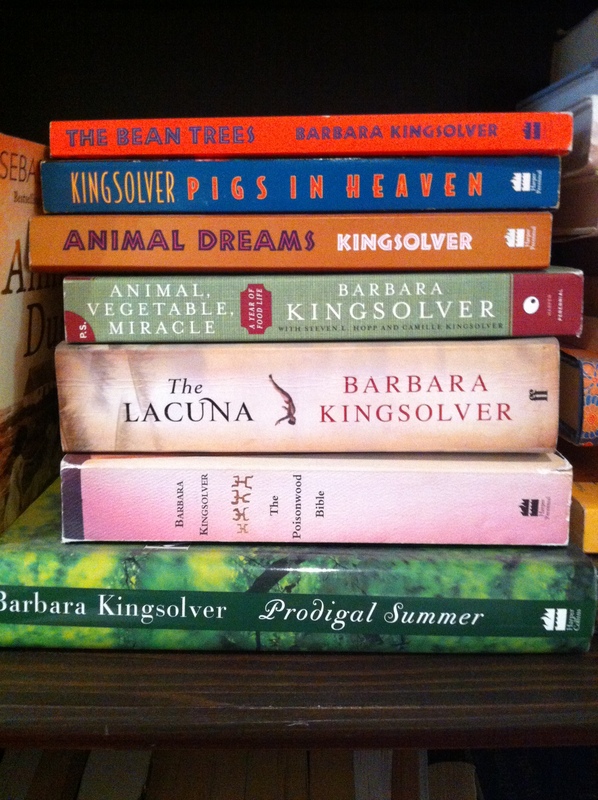 Barbara Kingsolver is one of my tried-and-true, go-to authors. From the first time I picked up a copy of The Bean Trees in the 1950s-bowling-alley-turned-Barnes-and-Noble in downtown Bellevue, I knew I would like it. Originally, it was the cover art and fluorescent orange spine that made me pick up the book, but after I bought it and actually read it, I knew I was under the spell of this author. Although the eccentricity of a blind babysitter named Edna Poppy and a shop called Jesus is Lord Used Tires stood out to this 17-year-old, what I really enjoyed was Kingsolver’s ability to show me other sides to issues and situations that I didn’t know much about, such as underground railroads for immigrants and rural Appalachian towns. It was all very eye opening, yet in a quirky-character-driven sort of way. But as much as I love to read Barbara Kingsolver, I’d also argue that her novels sometimes lean toward the pedantic and heavy-handed side; she may write sympathetic characters for both sides of an issue, but at times, they turn into caricatures of themselves. Reading from the perspective of “the other” is one of the gifts of fiction, yet how can a reader tease out the nuances in complicated conflicts? Do we need to read exaggerated versions of stereotypes in order to “get” them? Conflict is a constant throughout history: We already know that struggles have two or more sides to them, and anyone over the age of 25 or so should (hopefully) know that a 100% fool-proof version of events is about as elusive as being given a Cherokee baby and naming her Turtle, as happens in The Bean Trees. But this particular post isn’t about Barbara Kingsolver. 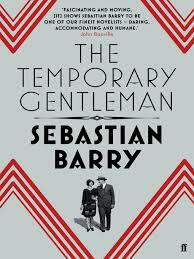 Instead, I’m writing about The Temporary Gentleman by Irish author Sebastian Barry. The way that he creates empathy for his characters differs from Kingsolver’s method—Barry has an interesting track record using an approach that, whether he intends to or not, allows readers to empathize with different players in his plots without sermonizing or writing garishly unrealistic characters. First, the author gives his characters their own concrete story, told via first-person narration. They may waver in their convictions and sense of purpose, but they own their perspective. The Temporary Gentleman is the story of Jack McNulty, an Irish soldier serving with Great Britain during World War II. It is the story of a man trying to decipher what it means to be Irish nearly forty years after Ireland gained independence from Britain and what it means to fight in a war in which his own country has claimed neutrality. And it is the story of a man and his family—wife Mai and daughters Maggie and Ursula—damaged by alcohol abuse. The Temporary Gentleman showcases Jack’s woulda, shoulda, coulda reflection of his life. Barry uses time shifting to tell Jack’s story, as readers are brought from Sligo, in Northwest Ireland, to his time in Accra, in present-day Ghana, with the British Merchant Navy and back and forth both in locales and years. After a brief recollection of his family’s history, Jack ruminates, “Though this was a history without documents, it constituted in my father’s mind a faithful and important record of real things. And it was from this that inevitably I drew a sense of myself in the world, and I never questioned any of it.” It’s as if Barry is saying, Here’s Jack’s take on the story. He knows it’s his alone—and shaped by his own history—but receive it and realize that you’re getting one singular, but very particular, vantage point. I suppose it’s a bit like seeing a Honda here in Dublin, where that brand of car isn’t too popular. The first time I spied an Accord, arguably one of the most common cars in America, a quick drop of homesickness spit at me. Or there is the time that an Australian friend posted a picture of a motorway exit sign on Facebook; Aussie signage apparently looks an awful lot like the emerald-green American freeway signage, so again, a little lump appeared in my throat at the sight of something so seemingly familiar. Yet, the irony, of course, is that neither of these concrete objects is American; it’s just how an American would claim them as “theirs.” Those glimpses of homesickness or association with concrete reminders of home may belong to me, but the objects themselves can play a part in anyone’s story. This appropriation of items, scenes, and people colors Jack’s tendency to see things the way he wants to see them. As he remembers watching Louis Armstrong, in Accra to perform, he notes “The white wives laughed with delight at the sheer musicality of it all, a few inches from the black wives, laughing with the same delight.” This performance occurs “as the pot of freedom was boiling,” and the reader ponders this picture of a conflict-free harmony that Jack paints: Are they “delighted” for the same reasons? And when Jack relays how, after a wild and alcohol-infused night with Tom Quaye, he wakes up to see his room doused in his own urine and feces and how Tom dutifully and matter-of-factly surveys the state of the room (and then presumably cleans it up), the reader must wonder: What is Tom Quaye really thinking? And how do others see Jack McNulty? Here is the beauty of learning about Jack McNulty and the family that shapes him: The Temporary Gentleman is not the first book in which he’s appeared. 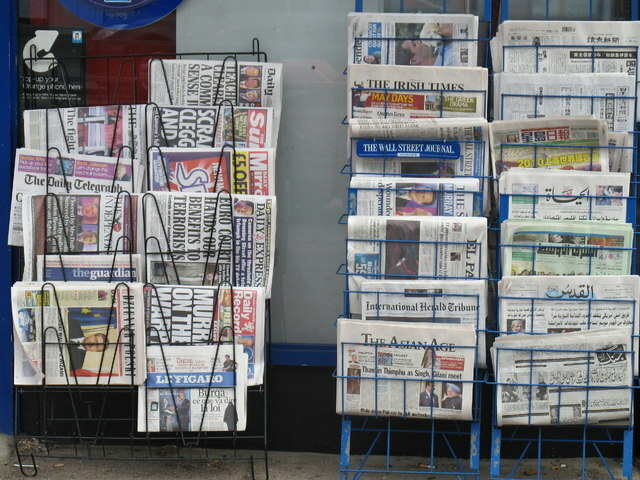 Any Journalism 101 class will give students an exercise to demonstrate how different vantage points—either ideological or physical—will result in different stories depending on the source. Let’s think of this as Sebastian Barry delivering The Wall Street Journal, Al Jazeera, and the Irish Independent to his readers in one bundle. My first thought after finishing The Temporary Gentleman? I’d next like to read Mr. Barry’s take on the houseboy Tom Quaye and his experiences with British colonialism. I know the stereotypes, so I don’t need moralizing or fringe personifications. I’d like just the facts—Tom Quaye’s facts.